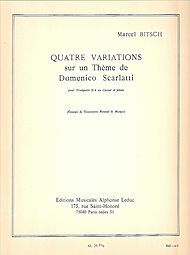 4 Variations Sur Un Theme De. 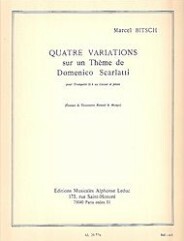 (D.Scarlatti Trompette Sib ou Cornet et Piano). By Marcel Bitsch (1921-). For Bb trumpet or cornet and piano. Published by Alphonse Leduc (AL20776).